Very large rooms throughout this home with a beautiful private pool area with spa. All three bedrooms have bathrooms attached. Huge master with large bath and closet. Kitchen is also large and has a center island. Another great home available at the popular gated community of The Estates at Rancho Mirage. Quiet location for this well maintained home. Easy flowing floor plan, light and open. Features high ceiling, double pane windows ceiling fans, wine cooler in spacious eat-in kitchen. Enjoy privacy in pool size yard and desert landscaping. Low HOA includes front yard maintenance,two heated pools, three spas, sauna, guest parking. Close to shopping, restaurants and hospital. Owner priced it for quick sale, purchased another home. A must see! Welcome to The Estates at Rancho Mirage. You are welcomed by the lush front courtyard with pavers, fire pit and breathtaking mountain views as you walk into the double door entry of this home. This 3 bed 3 bath 2,673 sq. Ft masterpiece is the largest model in the community and the most desired and rarely comes on the market. This picture perfect home has an upgraded kitchen with granite and stainless steel appliances, pergo wood flooring throughout, clerestory windows in the wide open living space and a large master suite. The Master suite features an oversize shower, large soaking tub and his and hers vanity. The media room offers a quiet retreat for you and your guests or could easily be turned into a 4th bedroom. All guest room are en-suite and are conveniently separated from the master suite. Easy care landscape and low HOA dues make this a perfect year round home or seasonal retreat. There is an interior laundry room and an attached two car garage with storage. A true must see! Back on the market after owners did more improvements to the home. Great Location, this updated home at the popular development The Estates at Rancho Mirage. Features brand new carpets throughout, remodeled kitchen, custom cabinetry in living and 3rd br/den, custom blinds, new desert landscaping in private yard, built-in BBQ, alumawood patio. See attached recent improvement list. Across the street from community pool,spa and sauna. Minutes away from shopping,restaurants and theatres. Low HOA $270/month. A must see! This nicely appointed 3-bedroom, 2-bath home is located in the luxury gated community of The Estates at Rancho Mirage and has just been reduced by $24,000. You have a private pool & spa in the back yard with mountain views that is a nice design for plenty of outdoor entertaining. This lovely light and bright home offers a Southwestern flair and is being offered furnished (excluding all artwork). There is a breakfast nook plus a formal dining area. Two living room sitting areas. Water softener, fireplace, ceiling fans and tile floors throughout the living areas. Carpet in two bedrooms. The spacious master suite has dual sinks and a large custom tiled walk in shower. This community also has 2 community pools & spa and boasts an excellent central valley location making it very convenient to The River Shopping & Theatre complex, the McCallum Theatre, minutes from El Paseo shopping and all Palm Springs attractions. The Estates at Rancho Mirage offers the best in luxury and convenience in Rancho Mirage, California. This excellent gated community of 88 homes is minutes away from world-class dining, shopping, and entertainment in the heart of the city. Homes at The Estates at Rancho Mirage have two to three bedrooms, two to three baths, and den options. The living space ranges in size from 1,848 to 2,673 square feet. The single-story homes were built between 1996 and 1997. The floor plans for most of them offer fireplaces, wet bars, casita options, and covered patios as well as two-car garages. Residents love the many windows, wide foyer entrances, beautiful tiling, open living areas, and private pools and spas. The grounds are immaculately landscaped and everyone has spectacular views of the mountains and desert valley. Homeowners also enjoy low Home Owners Association dues which cover the front yard maintenance and community pools. These homes are great for retired residents or second homeowners. Highly rated educational facilities in this area include James Earl Center Elementary, Palm Desert Charter Middle School, and Palm Desert High School. The Estates at Rancho Mirage are within minutes of every convenience you can think of. Besides everyday services like postal offices, dry cleaning, groceries, and supplies, the city has many venues of shopping, dining, and entertainment. El Paseo Drive is a mile stretch of posh boutiques and is compared to Rodeo Drive in Beverly Hills. And The River shopping complex offers restaurants, stores, and movie theaters. This community is surrounded by many country club resorts and Rancho Mirage has twelve golf facilities to choose from. Popular golf sites include Marriot Shadow Ridge Resort, Mission Hills Country Club, and Sunnylands Golf Course at Anneberg. There are also many other outdoor activities in the city and the wilderness of Coachella Valley hiking and biking along with tennis, golf, and swimming. If you’re already working with a Real Estate agent, please utilize your agent’s website & direct expertise to aid in your home search. We are only able to directly serve our own clients. Thank you for your interest in the The Estates at Rancho Mirage community, and we wish you the best of luck with your Real Estate needs. Whether you are contemplating buying or selling a home in The Estates at Rancho Mirage, it is important that you hire the right team that fits your needs. We roll out the red carpet for buyers & sellers alike, and ensure you have access to us 24/7, as we aim to earn your business for life! 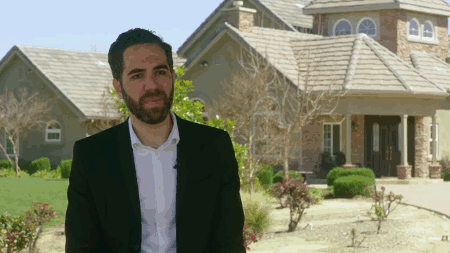 We understand the market well, and you will not find a more qualified The Estates at Rancho Mirage real estate agent to help you with all of your Real Estate needs! As a buyer, you will have access to The Estates at Rancho Mirage listings the second they hit the market, which gives you a leg up on the competition. As a seller, your home not only will be featured on one of the top The Estates at Rancho Mirage sites on Google, but we also will syndicate your home to hundreds of other sites, hold weekly open houses, send out postcards, and much more! We have helped dozens of buyers & sellers, and look forward to helping you as well! This 3 bedroom, 3 full baths, 1 half bath home, located on Pristina was recently sold on Wednesday, April 11th at 11:38am for &dollar;545,000. With 2,673 square feet of total floorspace, this home is priced at &dollar;203.89 per square foot. That's 8.08% lower than the neighborhood average. There are also 2 garage spaces available for parking. Originally built in 1996, this home sits on a 8,712 square foot lot (S). Listing provided courtesy of Anthony Holland at Windermere Homes & Estates.